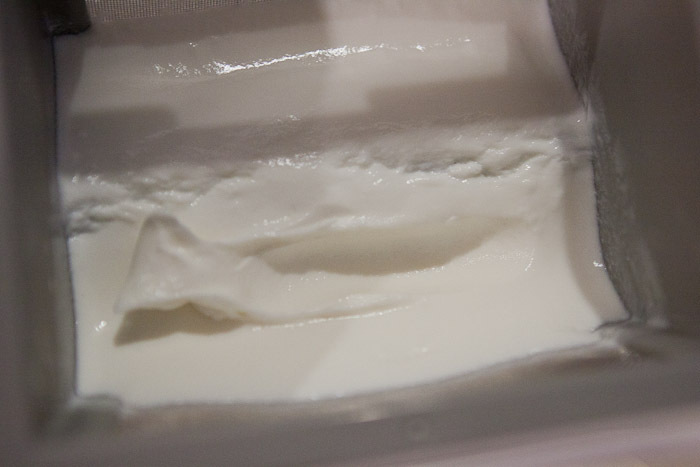 So I had some people ask me if what I made the day before was thick and creamy like Greek yogurt and my answer was no. 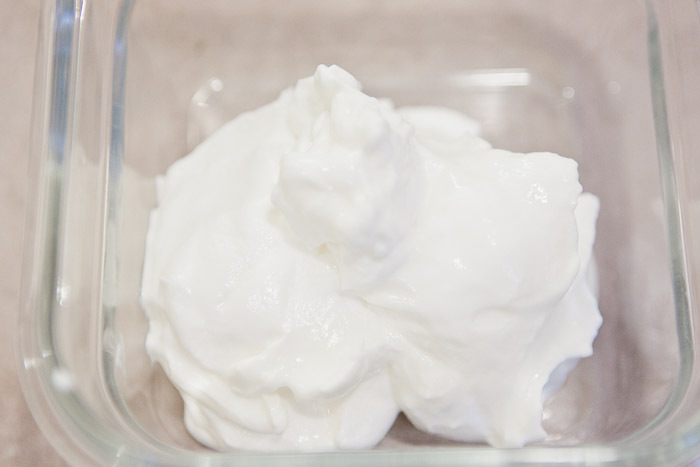 In order to have thick Greek yogurt, you need to strain it. To do this you just take a mesh strainer and lay either cheese cloth, coffee filters or a paper towel in it and then dump your yogurt on top and let it sit overnight in the fridge. 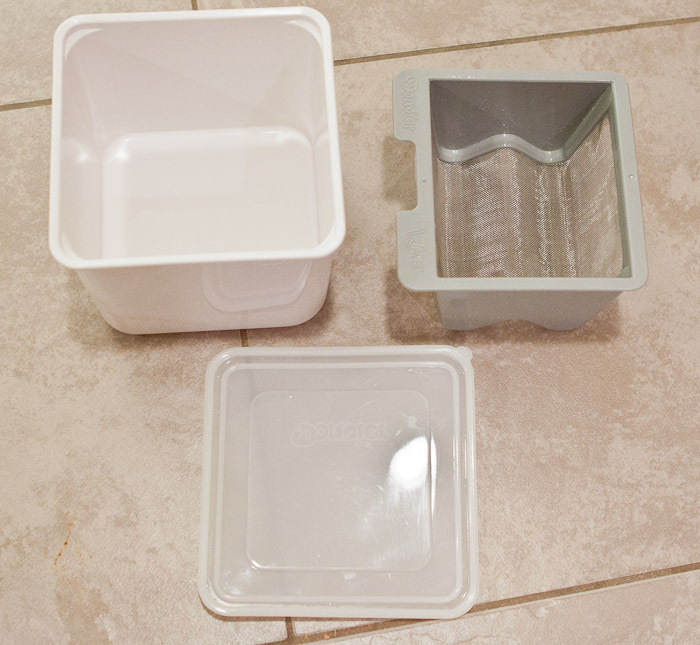 I happened to have an actual yogurt strainer in my cupboard of appliances….along with an actual yogurt maker. 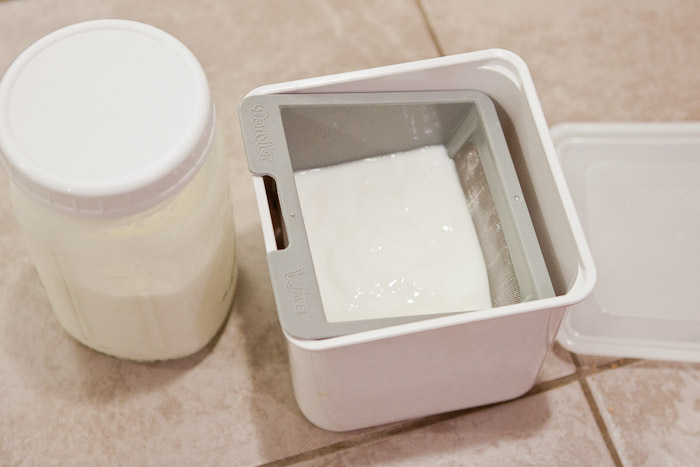 Just place the strainer in the container and then dump the yogurt in the strainer. This is what I had in the morning. 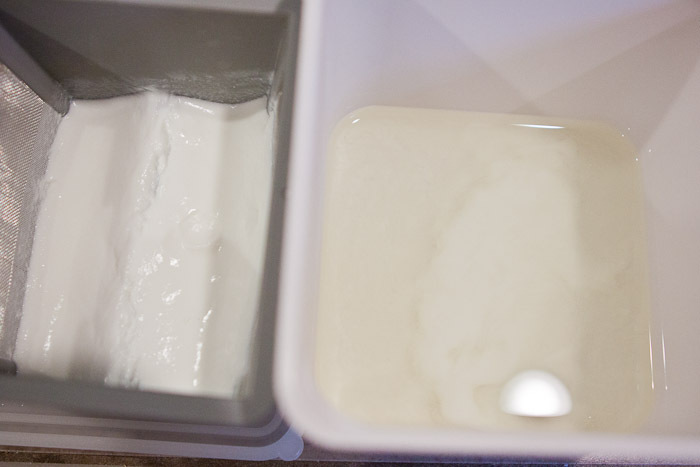 Greek yogurt on the left and whey on the right. 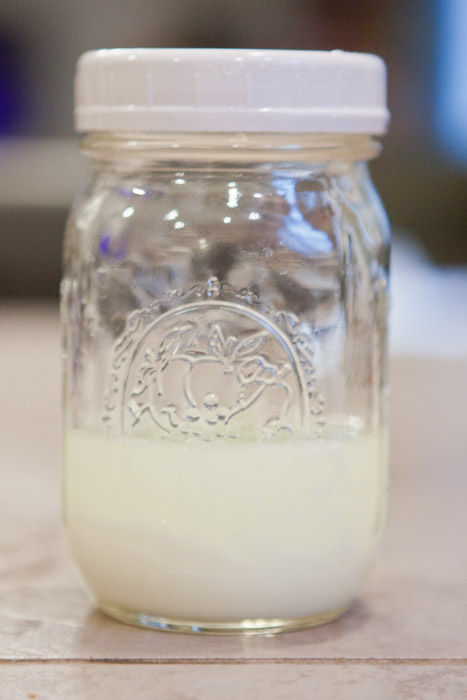 As you might be able to see, there is a little bit of yogurt in the whey, so maybe a coffee filter would be a little better with the strainer than just the strainer alone. I have no idea. I’ve never done this before. There is the yogurt. I ran my finger through it to see how thick it is. Yumm!! Apparently, if you keep letting the yogurt strain you will get cream cheese. Will have to test this some time…. 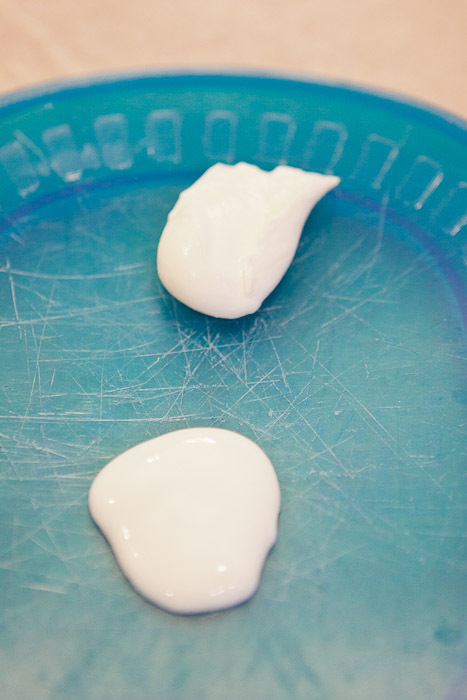 This is what is dripping out of your yogurt (or settling on top if you aren’t straining it on purpose). Now you can use this to calculate nutritional info for stuff when you sub in liquid whey for other things.